Bouyon Monarch 2017 | ComeSeeTv Broadcast Network ... Can you See me Now! 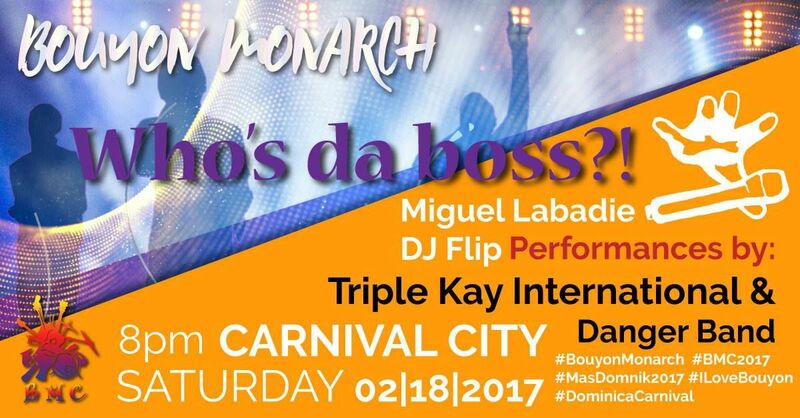 The Bouyon Monarch Competition is the premiere Bouyon event during Dominica Carnival. Solo Bouyon artist will compete for the Bouyon Monarch crown!